The 2010 Ford Mustang sales figures for February 2010 have been released and show a dramatic improvement compared to just 12 months ago. Winter storms throughout most of America haven't kept new Mustang buyers from making their way to Ford Showrooms. Total sales for January were up, at just under 8%. February sales for the Mustang increased from 2,990 cars last year to 5,115 units for 2010, making a whopping 71% increase. Overall, sales for the year are up 66%. In some ways, this is particularly surprising, since economic indicators, have not been wonderful. Its also not likely that any fallout from the Toyota recalls have helped sales, since the 2010 Mustang has no direct competition from Toyota, recall or not. Considering that Ford has been feeling the pressure from Chevy's Camaro with its available 300 + horsepower V6, and a significant amount of money has been spent promoting the 2011 Mustang and it's new 305 horsepower V6, sales of the 2010 Ford Mustang have still been strong. 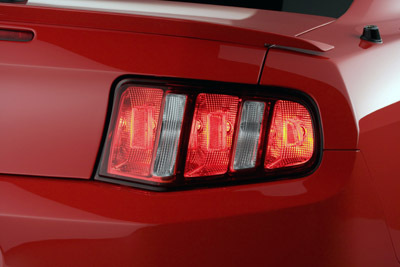 The 2010 Ford Mustang should continue to do well until the new 2011 Mustang makes it's debut later this year. It'll be interesting to see what the March figures have to say.